Well my ram top came in the mail from BT and I was able to finish setting up my press. The ram top is Great!!!!!! Thanks BT! I used a Grade 8 bolt and a low profile lock nut for the punch. I chucked the bolt up in my drill press and used an angle grinder to take the bulk of the material off I then used a flat file to finish the last bit. Using the grinder heated the bolt up so I heated it back up and quenched it in water. 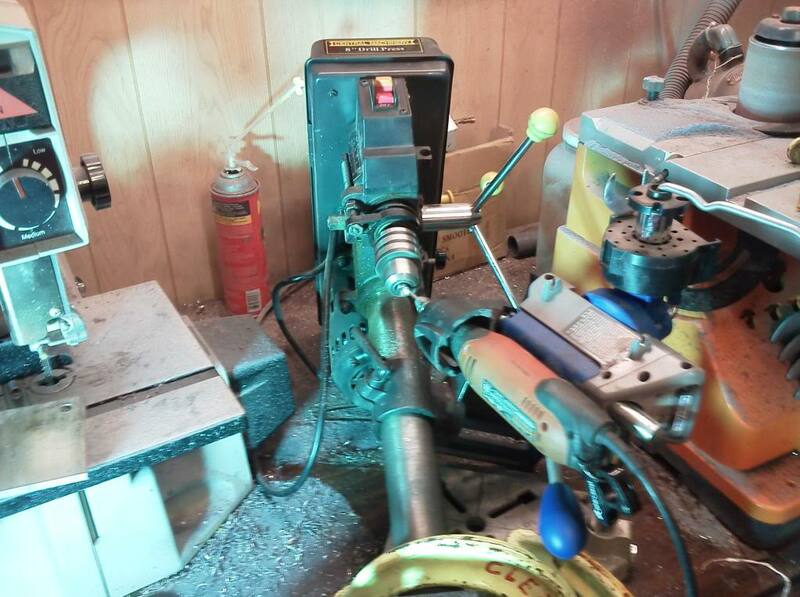 I also relocated the holes in the linkage on my press to increase the leverage. 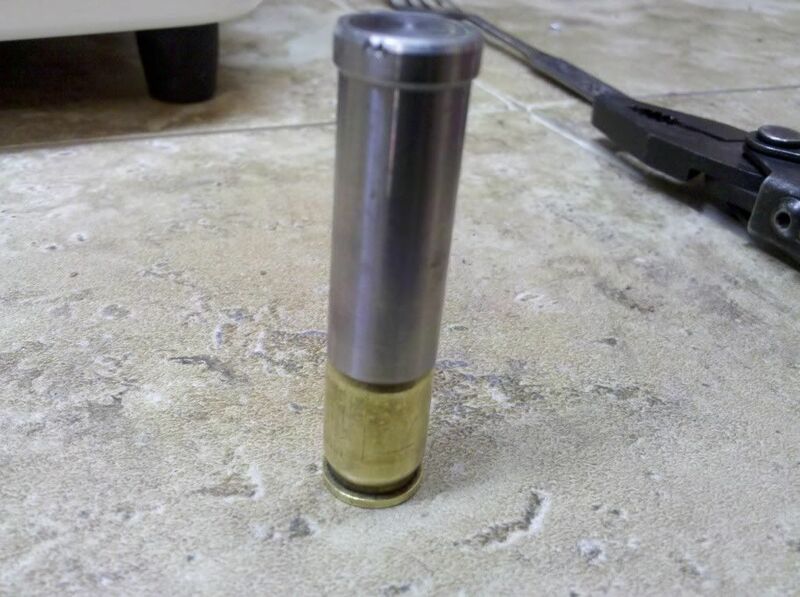 I am now able to easily size down my 45acp brass using a Lee push through sizing die. 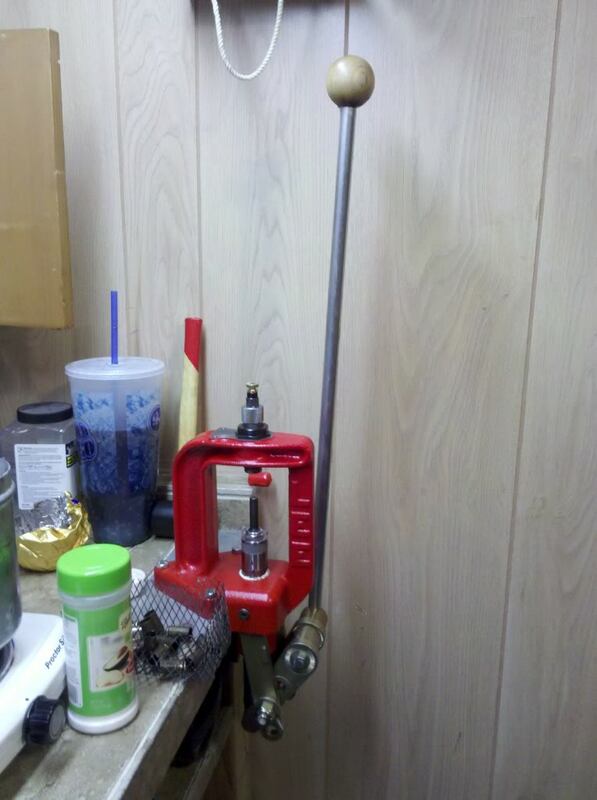 I added a longer handle to my press today and did some red neck machining on a nose punch today. 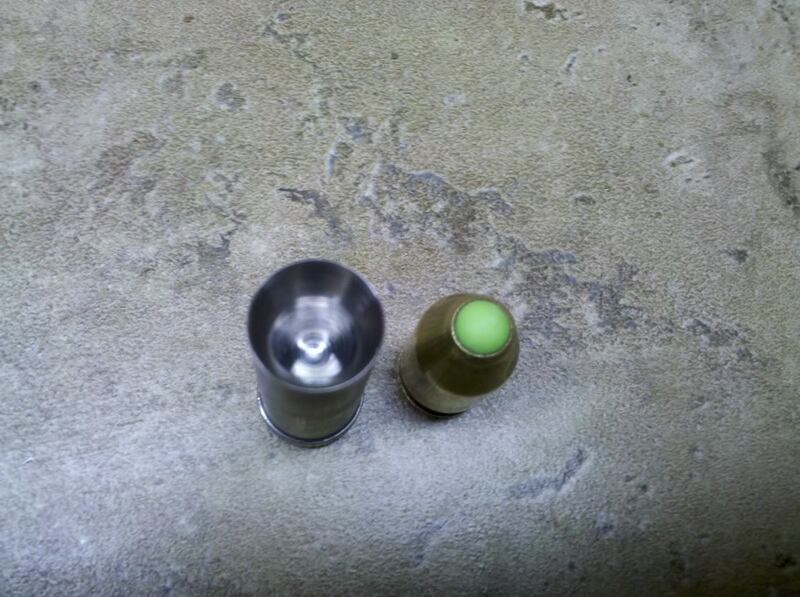 Here are some pics including the 295 grain Boat Tail Ballistic tip I made with the new setup. Wow - that turned out nice. 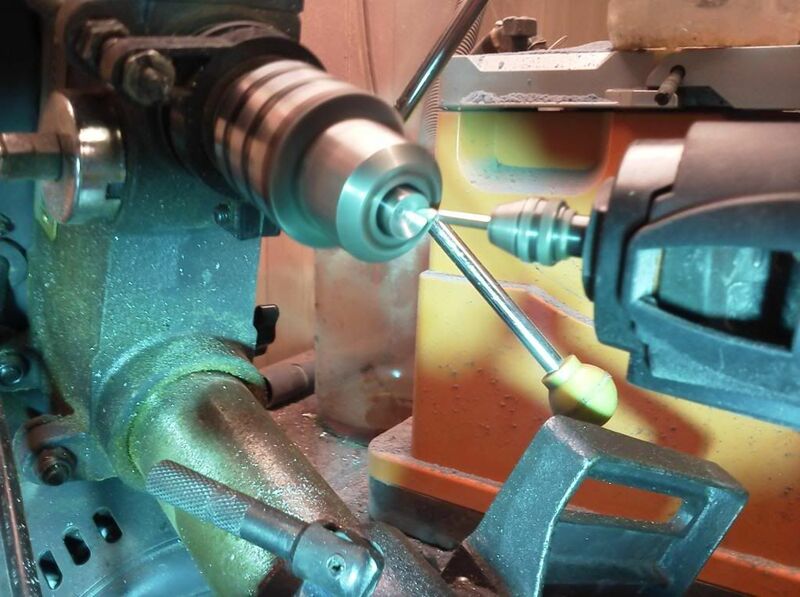 It's cool how you use the drill press as a lathe. Is that a 6mm plastic BB in the nose? scorge30 wrote: Is that a 6mm plastic BB in the nose? Yes Sir. it is! I have a few dif varieties of them and so far I like the biodegradable ones the best because they are not brittle but...........I was able to adjust my nose punch to make room for the BB so crushing them is not a problem any longer. I also like the fact they come in dif colors and weights letting me tailor my weights and front of center. I can also use the dif colors to color code my bullet weights. 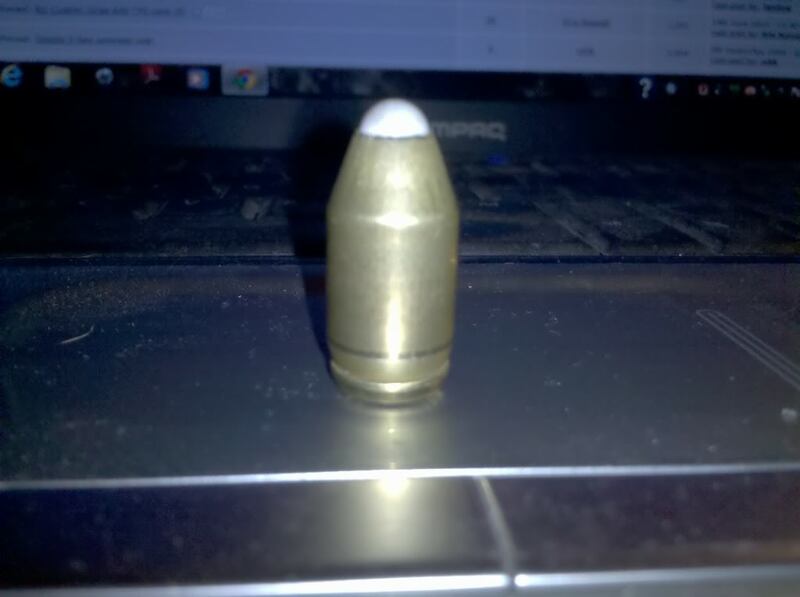 I have heard of several people using the 6mm plastic BBs for swaging bullets. Corbin sells plastic balls as well for making clones of Power Ball ammo and for taking up space in the bullet to make a lighter bullet. Always thought the Corbin plastic balls and tips were a little pricey. 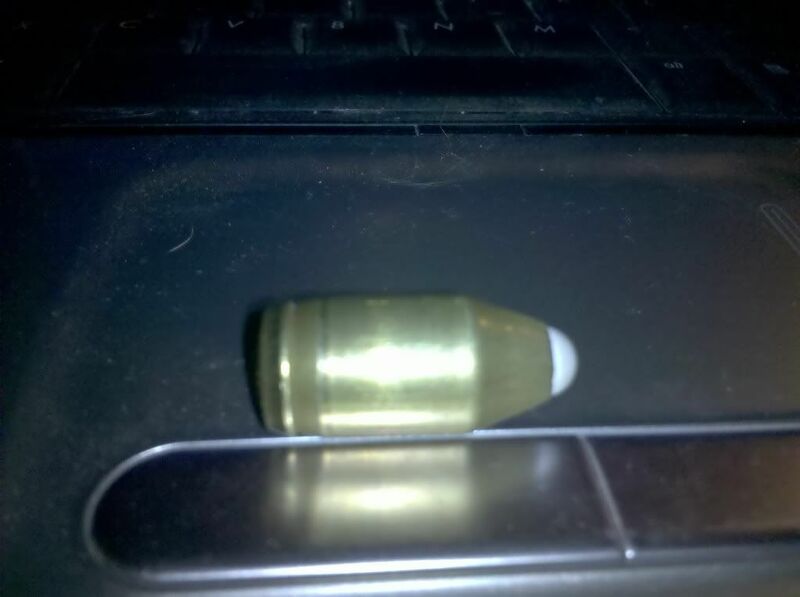 NorthWest Custom Projectile uses some of Corbins aluminium tips for their super accurate 30 cal hunting bullets but at almost $2 per they are a tad pricey for my taste. However they do shoot real well! that is cool very nice work i need to get one of those lee presses for my swaging!